This course meets the Nationally Recognised Training standards. It is listed on the Australian government’s National Register for Vocational Education and Training (VET). Studying this course leads to a qualification that’s recognised throughout Australia, and lets employers know that you have the right skills for the job. Help keep things running smoothly with this Diploma of Logistics (TLI50415), offering you professional skills transferrable across a wide range of logistics, transport and supply chain roles. In the only Diploma of Logistics (TLI50415) certified by the Chartered Institute of Logistics and Transport (CILTA), you’ll cover critical skills required to work effectively in logistics, including operational procedures, policies and strategies that assist in the management of logistics-related duties. There are no formal entry requirements for this course; anyone can apply! Recognition of prior learning (RPL) may be available for skills and knowledge obtained through previous study or other relevant experience. Why study with Monarch Institute? Monarch Institute specialises in providing innovative, engaging courses with a focus getting you ready to work in the real world. Courses are designed by industry experts and delivered by professionals who continue to lead in their fields. 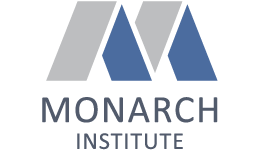 Monarch Institute has trained over 10,000 students across a range of nationally recognised and accredited courses. With Monarch, you’ll benefit from direct trainer support and trainers with the latest industry experience, and are available whenever you need them. Students graduate with a distinct competitive advantage because respected employers help shape the courses. The four largest employers of Monarch graduates are the Commonwealth Bank, NAB, Deloitte and the ANZ Bank. With Monarch Institute, you’ll get a different experience. You'll get the skills that employers really want, flexibility to study in a style to suit you, and unrivalled support that is delivered with care. Monarch Institute prides itself on encouraging and supporting students to meet their educational goals. Whether you choose to study in the classroom or online, you will be supported by a range of professionals who are committed to helping you succeed. All course materials have been designed with access and equity issues in mind, and assessment techniques reflect the needs of multiple learning styles. Monarch provides an array of services for students, including personal, educational and vocational counselling services; disability assistance; language, literacy and numeracy assistance; and student welfare and guidance services. It also offers services for Aboriginal or Torres Strait Islander students and students with disabilities or special needs in order to support them in meeting their learning goals. Upon successful completion of this course you will receive a nationally recognised, accredited Diploma of Logistics (TLI50415) from Monarch Institute. This course allows you the flexibility to pursue a career in logistics, transport or supply chain areas, or roles that encompass all three. You will be able to pursue management roles in a logistics company or as part of an internal team. Enrol in each unit individually to pay as you study. Want more information about the career benefits of this course? Fill out the enquiry form to the right and a study consultant will contact you with the details you need. 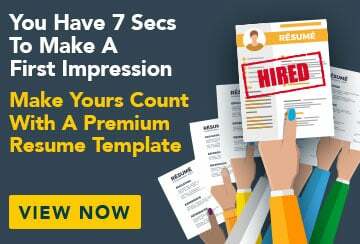 Fill out this form and a Study Consultant from Monarch Institute will get back to you. This course is based in . Where are you located? When would you like to start studying? Your details will only be shared with the provider listed above.